Through this series of interviews I hope to explore how different individuals work in their specialised area, provide a sense of what a career in their chosen field is like and above all, express their passion for what they do and why! To kick off this interview series I spoke with Jason Tammemägi. Jason is a writer, creator and director of many well known children's television programs. 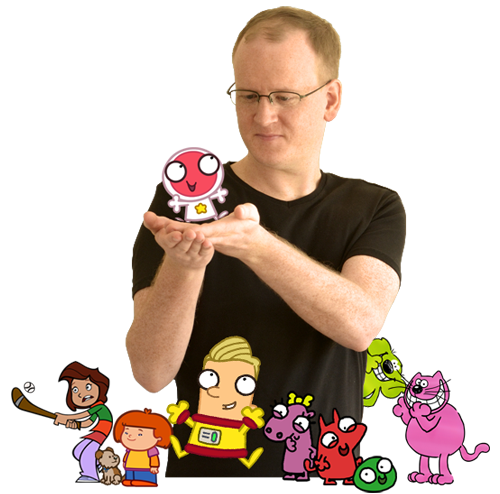 The creative mind behind such favourites as Fluffy Garden, Roobarb and Custard Too, Ballybradden and, more recently, Planet Cosmo, Jason's work is familiar to us all. I actually arrived at cartoons via science. I was studying physics, chemistry and maths but, while I have always loved physics, things just didn't click for me at university level and then someone told me about an animation course. Well, I didn't even know animation was something you could do for living – nobody had told me! I had been drawing all my life and loved stories so I applied and I got in. Within a week or two I knew this was what I wanted to do. I studied animation for three years and that's how I got into cartoons. From there, I worked my way up and moved to directing, designing, writing and creating. With most of those, it was just a case of trying them and then doing everything I could to get better. The initial animation training was the beginning of that journey. I had never decided to be an animator as a child. I really didn't know what I wanted to be. Yes, it makes so much sense now. As a child, I loved to draw, I loved to tell stories, to create and that's exactly what I get to do now. I just didn't know as a child that it was real job. I was looking for good ways to teach my daughter about space. She was about three and was really taking an interest but I just couldn't find the right book or show aimed at her level. I know how important it is to feed interests in children or they quickly move on. So I decided to make a show for children about space. A way to entertain them, make them laugh and sing along while also giving them real facts about the planets because, for me, that's what's amazing: these are real! With Planet Cosmo, I think it took over three years and that wouldn't be unusual. It can take a long time to pull a television show together and then get it made. There are highs and lows in there and the certainty of the show is never guaranteed. So it's always a special feeling when the show finally hits the screens. It's a real success to even get a show made at all and even better when you find out afterwards that children love it and it's really helping bring space to a lot of households. Well preschool is really my area. I love how open to ideas preschool children are and I love what entertains them and what they find amazing so I have done a huge amount of work and research into that area. Before making Planet Cosmo, I made 80 episodes of Fluffy Gardens among other things so, when it came to making this show, I had an idea what I doing. But I'm also fortunate enough to have two young daughters. When I began creating the show, my eldest daughter was right in the middle of my target age group. By the time the show was finished, my youngest daughter was there so I always had a preschool child to test ideas on. Yes, it is easy to get lost in a project and lose sight of those who matter: the audience. So I found it important all the way through to check and test and see what works and what doesn't. The best way to do that is to show the work to children. They don't fake their reactions and they know better than anyone when it's right or wrong. There are so many stages in making a television show and they're all so different. The beginning is creation: ideas, characters, stories. It is all very free and very creative but then requires focus and hard work to bring it all together into something that can really be a show. You then have to pitch the show and convince others that it's a good idea in order to get it made. That can be a tough process and it is always a real test of just how strong the show is. If you're successful and the show goes ahead, then you are into preproduction (getting everything ready for the show – designs, writing and so on) and then production (the actual animation). The writing is incredibly important because it really sets the template for everything that happens afterwards. You need a fun, strong story or the rest of it doesn't really matter. But once you have a good story, great animation and great sound can turn it into something wonderful. And yes, I tend to be involved with every part of production and count myself fortunate that I can do that. I think it brings a real sense of identity to a show. How my day is depends on what stage a project is at. I write at home, for example. I need the peace and I get asked far too many questions in a studio! So writing is peaceful and quiet and I do lots of walking around to let ideas swirl in my head before getting them down on the page. Whereas in production, I'm in a studio and it's all so busy. I usually start very early and make my to-do lists and get a head start on everything I have to do that day. Then once the studio gets going, there is so much to check – going through storyboards to make sure the story is being told well visually, timing them into videos that set up the whole episode, checking animation scenes, checking how they flow when put together and then working on effects to get the final episodes together. At any one time, there are many episodes in various stages of production so there is always a lot to do and the important thing is to keep track of the overall stories because, in production, everything is split off into smaller parts. I am making an app for kids right now and that's pretty exciting. It hasn't been announced yet so I can't say too much about it but it is going to be fun. I am also developing a couple of new concepts and helping some people out on their own projects. So right now, things are very busy and I will be announcing some of these new projects soon. Planet Cosmo is really the show I always wanted to make. It sparks an interest in space and, with it, science and it does so with lots of humour and songs and, for a large part, it's a science fiction show based around science fact and I love science fiction. It was so much fun to write and I couldn't be happier with the end result. So that show will be hard to top for me! But Fluffy Gardens will always have a special place in my heart and I know each and every one of those characters so well. It's a part of me and I still think to this day that the Fluffy Gardens Christmas Special is one of the best things I ever made. It has been shown here every Christmas Day since it was made and I love it every time. It's just so Christmassy. It is so hard to pick a favourite. Cosmo's Dad is probably the most fun to write and I really love him because he has a lot of different sides. His silly side is obvious and that makes him very funny but he's also a good Dad and he's a good pilot so he has strengths too. He has these little warm moments of fatherhood that I can really relate to myself no matter how silly he is. I will always have a soft spot for Mavis the Pony in Fluffy Gardens too though. Most of my work has been for preschool children, although not all (Ballybraddan was for older kids and Managing the Universe was for teens). With preschool, which is the area I really specialise in, I tend to pick a slightly different core age group for each project because a two-year-old is very different to five-year-old even though they all come under the heading 'preschool'. 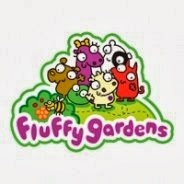 So Planet Cosmo was aimed at a slightly older preschool child than Fluffy Gardens. I love sticking with preschool but I tend to shift focus within that depending on the project. I think if you're aiming for real positive change, you start by inspiring the children. Not all children will be interested in everything and that's perfectly okay but you have to give them the chance. Feed the interest while it's there or they just move on and forget about it. So I love to give children something that is fun first and enjoyable while also expanding their options and introducing them to new ideas. Science is amazing and exciting and covers so many areas that there is lots to explore for children and plenty of areas of science that can make for wonderful entertainment. And for children, I see one of the main ideas behind science being so important for all aspects of their lives as they grow: ask questions, challenge and look deeper. So I see this getting bigger and more important and, yes, I have no doubt I will be involved in more science-based projects in the future. I get to make children smile and laugh. And I usually get to give them something positive in the process. I'm not sure it gets better than that! Create. Draw or write or both and keep doing it. See the world around you, how it is and how it works and then plug that into your imagination and see what comes out the other side. From there, find out about college courses in the specific areas you would like to be involved in and try to get in and work at the things that really inspire you. And remember that there are many different paths. The one you start on doesn't have to be the one you end up on so try to be open about how you get to where you want to be.